on cap with gray color fill included. 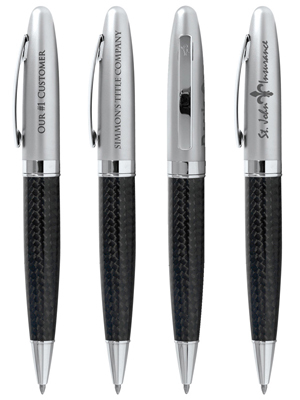 Carbon Fiber, Wood Twist or Pattern Twist pen. Black Barrel with Machine Engraved Square Lattice Pattern. Weight is 8 lbs. (approx.) @ 50 per carton.